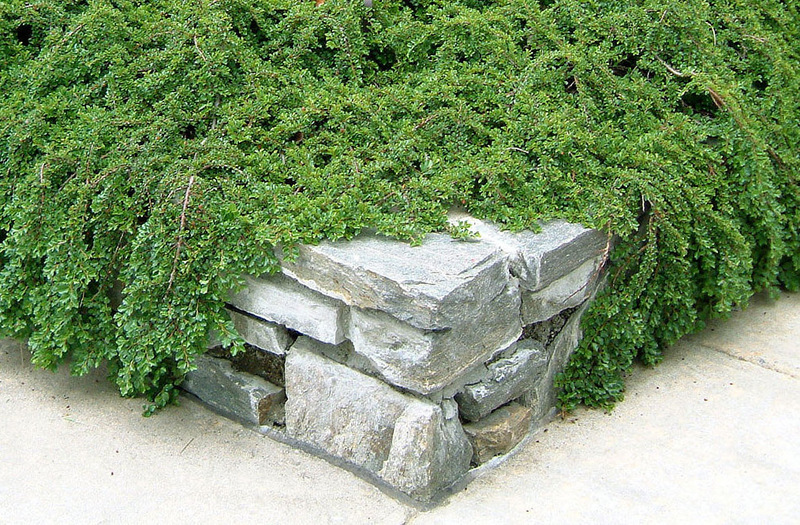 If your landscape includes a rock garden, stone wall, paved walkway or patio area, this delightful Cotoneaster specimen is a plant you should consider adding. 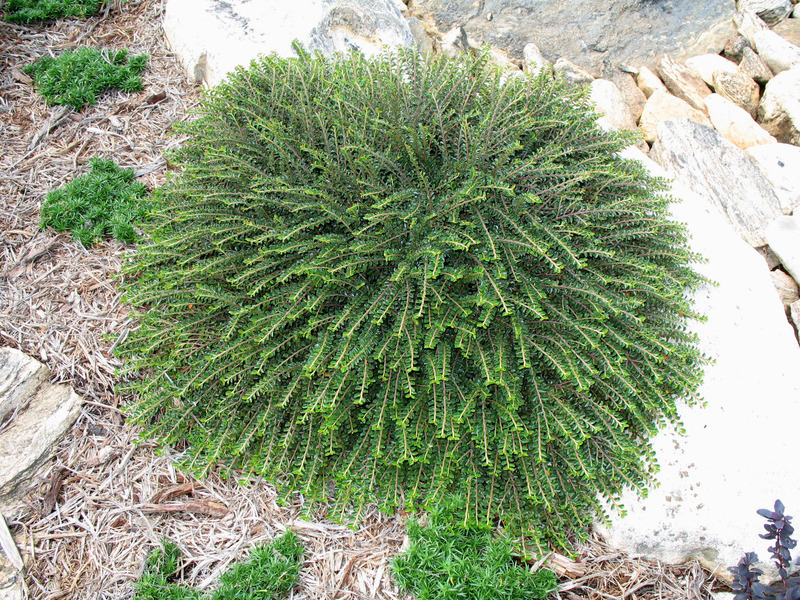 Since we don’t always agree to a single name in the plant trade, you may find this species listed under C. adpressus, C. apiculatus OR C. horizontalis with a cultivar name of ‘Tom Thumb’ OR ‘Little Gem’ Either way we are talking about the same plant. Hardy to zone 5 (remember to check the USDA plant hardiness map for new boundaries), this Cotoneaster is one of a select few which are semi-evergreen. Dark green leaves provide a rich texture in the garden and give contrast to free-form deciduous plant species. ‘Tom Thumb’ only grows 12-18″ tall and is an excellent option for filling small crevices in the garden. Cotoneaster species generally like full sun but can tolerate light shade. Light pink flowers in May give way to fruit in early to mid fall.